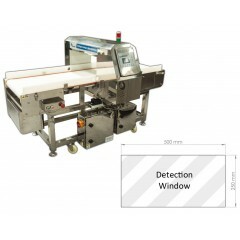 Metal detectors for food primarily are used for the purpose of consumer protection. Despite maximum care metallic contamination of food products during the production process cannot be fully excluded. Metal particles that enter the product during the production process or already are contained in the raw material may cause serious injuries of consumers. The consequences for the producing company are numerous and serious and include compensation claims and expensive recalls. Even bigger and longer-lasting damage is caused by the negative brand image and the loss of consumer trust caused by impure food products. Metal detectors for food provide effective protection against ferrous and non-ferrous metals (aluminium, stainless steel, etc.). 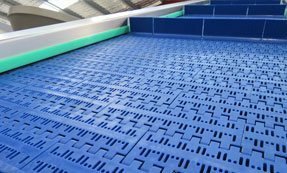 They can be installed in every step of the production process and can be used for many different applications, e.g. 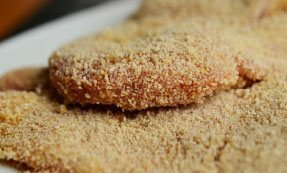 for the inspection of bread and bakery products, meat and sausage product, fruit, vegetables, dairy products, spices, sugar, etc. In addition to consumer protection, metal detectors also are used to protect machinery. 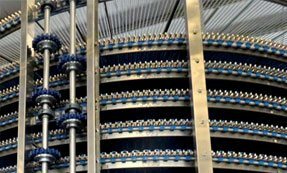 Even smallest metal particles can lead to machinery failure. Expensive repairs and production downtime are the consequences, often followed by revenue decreases. 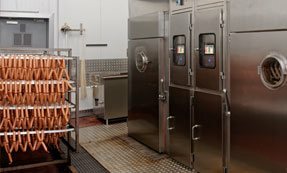 Where are metal detectors installed in the food production process? When used for machinery protection, the metal detector is installed directly before the machine to be protected. If, as in most cases in the food industry, consumer protection is the goal, several inspection points are useful. 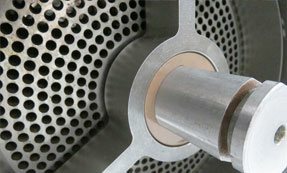 An inspection of raw material has the advantage that metal particles are separated before they are broken up into smaller pieces which might be harder to detect. 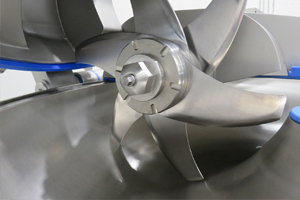 Inspections at critical control points (HACCPs) during the production process are recommended to notice machinery failures (such as broken blades) in time. 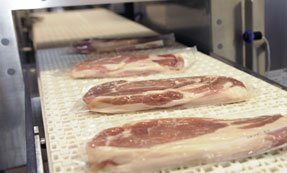 Consequently, food products in their final stage after packaging are inspected once again with a metal detector (or an X-ray system) to fully exclude contamination. For optimal product protection an inspection of raw materials, of several critical control points, and a final inspection of the finished product are recommended. detectors. However, the following classification standard is offered on a voluntary basis. in at least 9 of the 10 pass-throughs to qualify for the applicable classification. 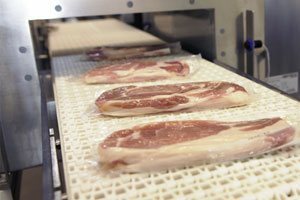 What are the most commonly used types of metal detector used in the food industry? Modern metal detectors by and large fall into two main categories: systems with a general purpose head, and systems with a ferrous-in foil search head. 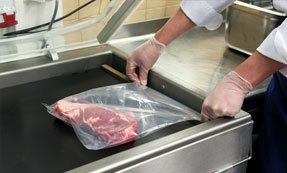 Metal detectors with a general purpose search head are capable of detecting both ferrous and non-ferrous metals, as well as stainless steel, in fresh and frozen products, whether that be wrapped or unwrapped. Systems utilising a ferrous-in foil search head are capable of detecting only ferrous metals within foil-wrapped fresh and frozen products. All general purpose metal detectors function in the same way and share many similar characteristics, though not all detectors are suitable for every application. There are all constructed in such a way that ensures the independent mechanical movement of the search head components and also prevents the ingress of dirt and water. Most typical detectors are encased in a metal box which houses the coil components. This protects them and acts as a shield. The aperture, or tunnel through which the products pass is usually lined with an hygienic, non-metallic material, generally plastic. The controls used to identify the particle can be mounted on the search head itself, or remotely, depending on the design and the application of your system. It doesn’t necessarily matter where the controls are mounted as this doesn’t affect the performance of the system. The signal processor is highly sophisticated. When a typical metal particle is "illuminated", the signal value at the receiver coils is one millionth of a volt. This is initially amplified by a high-performance RF amplifier, then modulated down to lower frequency, providing both amplitude and phase information. The signals are digitised and digitally processed, to optimise the sensitivity. These systems operate on a totally different detection principle to. They work by incorporating a Tunnel, or passage, which is subjected to a strong magnetic field and, as a result, any magnetic Material, such as a metal fragment with a ferrous content, is magnetised as it passes through. Incorporated into the tunnel are a series of coils. When the magnetised particle passes under them, a current is generated which is then amplified by the electronics of the detection system, and this is used to trigger the detection signal output. Secondary effects, due to the movement of any conductive material in a magnetic field, will also generate signals for non-magnetic metals. However, these are small compared to the effect generated by materials with a magnetic content. 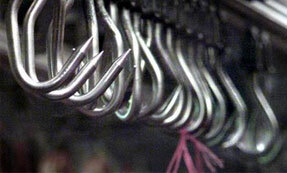 Consequently, only the largest pieces of non-ferrous metals and stainless steel can be detected.